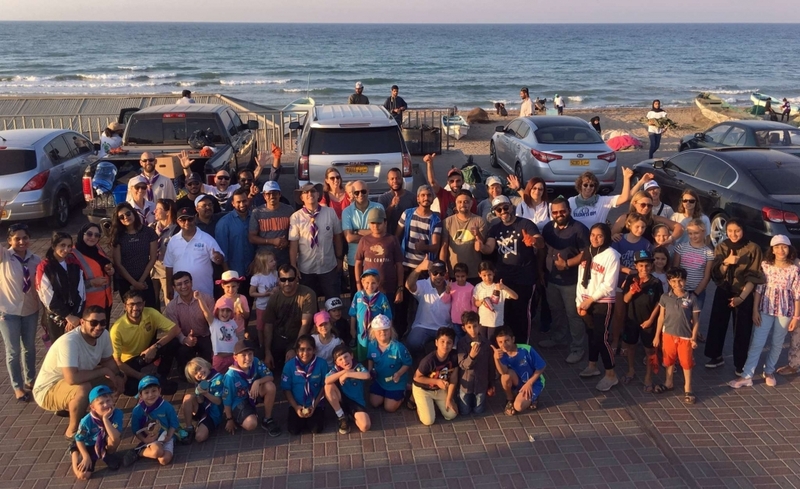 Muscat, March 21, 2019: As part of its continued commitment to the community, Oman Arab Bank (OAB), in collaboration with the Environment Society of Oman (ESO), recently organised a clean-up initiative at the Al Ghubrah Beach. The event saw the participation of over 40 participants consisting of ESO and OAB employees, together with their families. The Bank also believes that serving the community is a national obligation and one that all members of society should be a part of. This event comes as part of OAB’s CSR initiatives, with OAB employees and their families showing great enthusiasm in joining hands with staff from the ESO to clean the Beach and reveal its true beauty and its prominence as one of the key tourism destinations in Muscat. “We are also proud to have collaborated with ESO on this initiative. It is a wonderful organisation filled with like-minded people seeking to preserve the beauty of Oman for future generations. It was a genuine pleasure to see this initiative achieve success with such a good turnout from both parties and we look forward to working with them again in the future for other similar initiatives,” added Hilal al Siyabi. ESO was founded in March 2004 by Omanis representing different regions and many different professional backgrounds. Membership is open to anyone above the age of 18 who has an interest in conserving the environment and ensuring that Oman’s natural heritage remains intact for future generations to enjoy.